Guests can enjoy Canadian canoes around the lake and bikes available for hire. 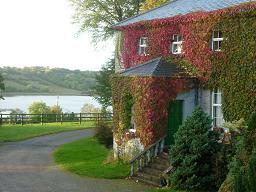 Then laze in the sauna and enjoy some time in the bubbling hot tub, while enjoying Fenagh Abbey and Lake. Horse riding is also available.